Scene of Heath Street, Hampstead on bright sunny day, viewed along its length. A brick wall is visible to the left of the road, with houses beyond in the distance. A fence runs along the street to the right, with a grassy verge running down to a parallel street below. A large thick oak tree can be seen in the centre of composition, casting a dark shadow across the street. 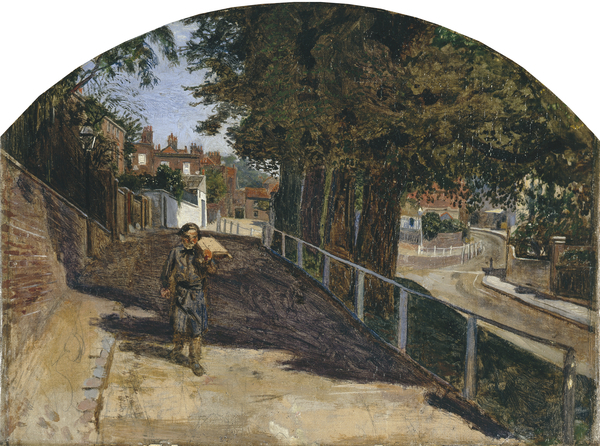 A butcher's boy walks out of the shadow towards the viewer, carrying his wares.